With a running time of almost sixty-seven minutes, this is actually a great show. This was the day before Elvis "fell off his wallet and sprained his ankle", according to comedian Jackie Kahane. This is a fantastic audience recording, better than some soundboards. Elvis is in a flamboyant mood, delivering good versions of his classic repertoire. I love the way he rips into 'See See Rider' during this show. I also find his interpretation of 'You Gave Me a Mountain' intriguing, especially when he puts on the power. Rare late versions of 'America the Beautiful' and 'Bridge over Troubled Water' are also among the highlights. 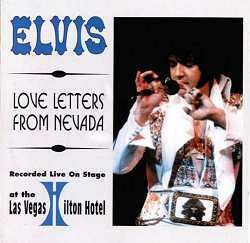 I think Elvis must have been inspired in some way during this Vegas stay, because he sings rare songs and throws his set list around quite a bit. The fixed beginning and ending is there, but he seems to be making an effort to entertain and be creative. During this concert, he sings 'What Now, My Love' with great conviction and a haunting spoken part. Awesome stuff. Later in the engagement, he would perform 'Lawdy, Miss Clawdy', the medley 'You Better Run / Bosom of Abraham', and 'Such a Night', plus a variety of other songs rarely performed during 1976. 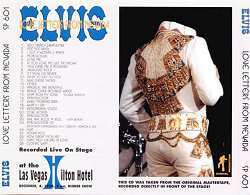 I think every serious collector should have at least one of these 1976 Vegas shows in their collection. I simply cannot wait for FTD to release a soundboard recording from this last, historic Las Vegas season. Until then, there is this, and this is more than enough for now.